It was the Octo-morning after the night Bowmore and we were a bit hungover. We had a tour booked at Tomatin later in the afternoon and after some deciding, decided to go to Glenlivet for a quick tour first. 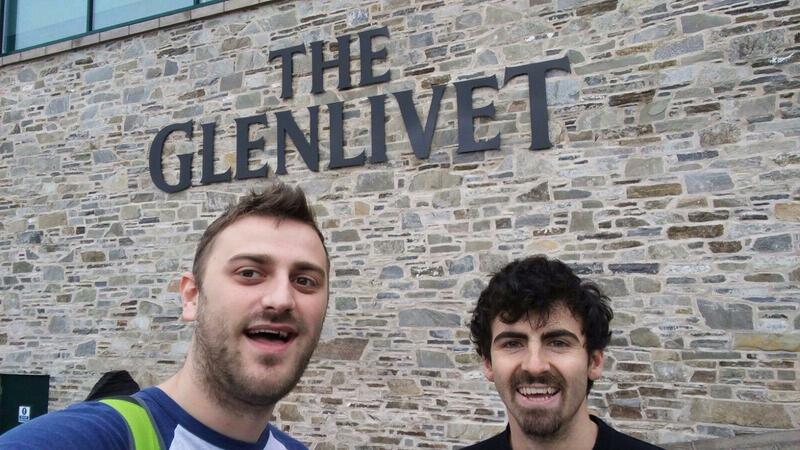 I would recommend the Glenlivet tour if you’re in the area. 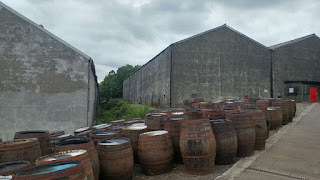 Good guide and you get to see the new stillhouse, which really shows off a modern distillery. Literally one person can control everything, from mashing to distillation, from a laptop. Pretty cool. Also, it’s not loads of money and you get it all back in tasters and even a miniature of the 18yo. I’d tried all the Glenlivet’s before, and none were very different from last time I’d tried them. 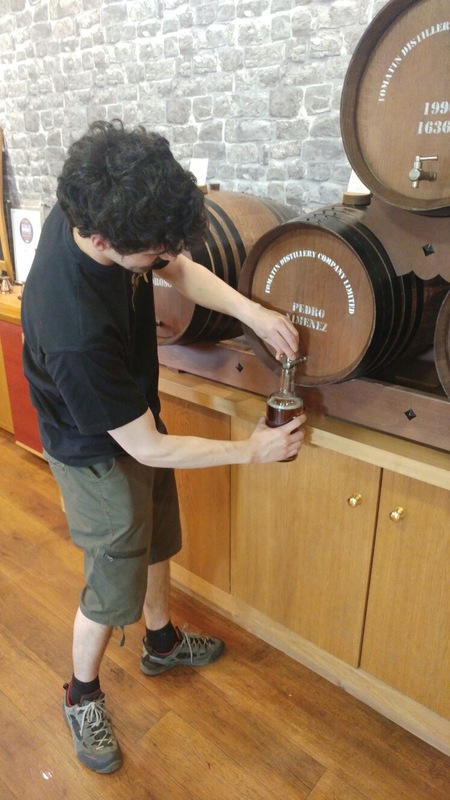 But there was one unique whisky, a sample of Glenlivet Founder’s Reserve finished in a Sherry barrel, drawn directly from the cask. Again, pretty cool. Glenlivet Founder’s Reserve Sherry Finish 60% approx. Nose: Sweet, young apple, cream soda, vanilla ice cream float, subtle but rubbery Sherry. Floral too. Taste: Intense, young spirit, green apple, ginger and coriander spice. Finish: Long length. Chocolate-y with vanilla. A really interesting one to try, and quite different to the original. 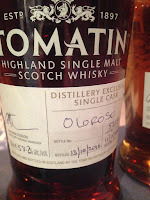 After that we rushed off to Tomatin. Which ending up being the best tour of the trip I think. 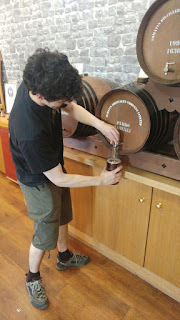 (Tom thought it was Glenfarclas, with this a close second). 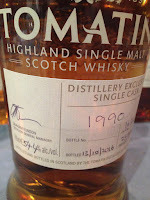 I’d tried some Tomatin before; the Legacy, 1995 Sherry Finish and the 36yo, and me and the general had tried a great 1992 from the old packaging. 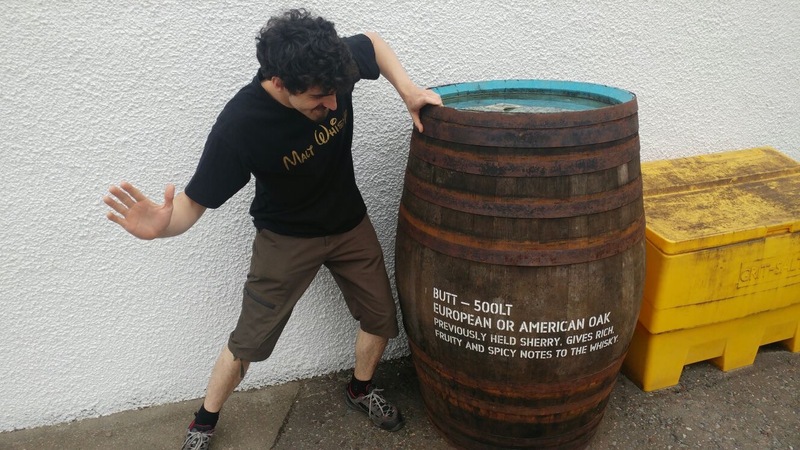 Despite that, I wasn’t expecting huge things from the tour, even though we’d gone for the more expensive single cask tasting. Boy, was I wrong. If you don’t know, Tomatin is a huge distillery. Well, was. In it’s prime, it had the largest capacity of production for a malt distillery, but it was all for blends. 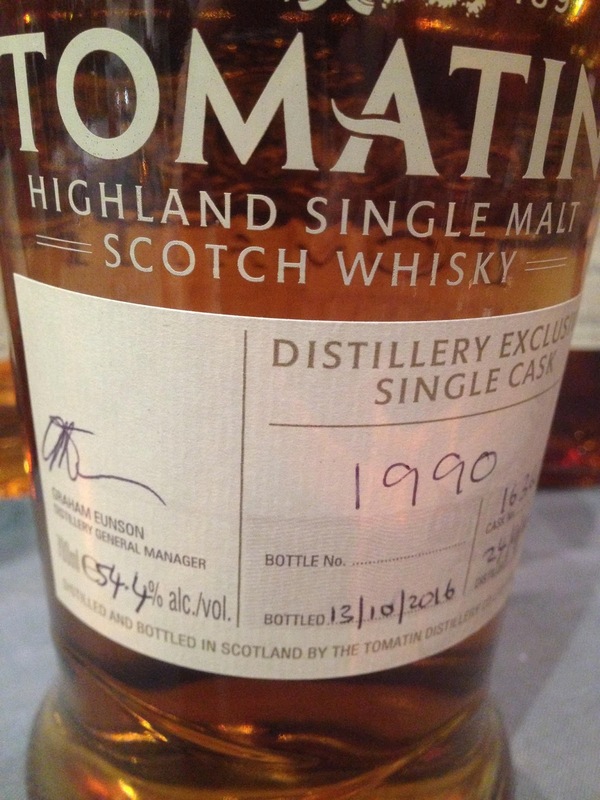 The distillery was closed for a year in 1985 and the distillery was bought in 1986. The new owners decided to focus more on single malt (not completely), but made the decision that production should be cut and they should focus more on quality. It went from 12m Litres to 5m. Charlie was our tour guide, and he quickly established himself the catchphrase ‘pretty smart,’ which was pretty smart. He seemed to say it after almost every sentence, and, far from being annoying it, made him a real character. Being a tour guide myself for a while now, he was one of the best. The tour in a word was badass. A little history but not too much, just the important stuff. 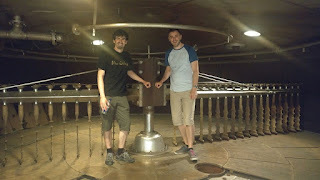 Charlie gave us a look at the malt bins and grist mill, then the mash tun and fermenting tanks. The distillery runs 24/5 at the moment, so everything was off and we got a good look at multiple stages of the wash fermenting, as well as a bit of a taste. The distillery also features some cool devices, like a shell & tube condenser that you can look into and the only mash tun you can walk inside. These things are really unique and give you a much better understanding of how these things actually work. Then, it was onto the tasting. 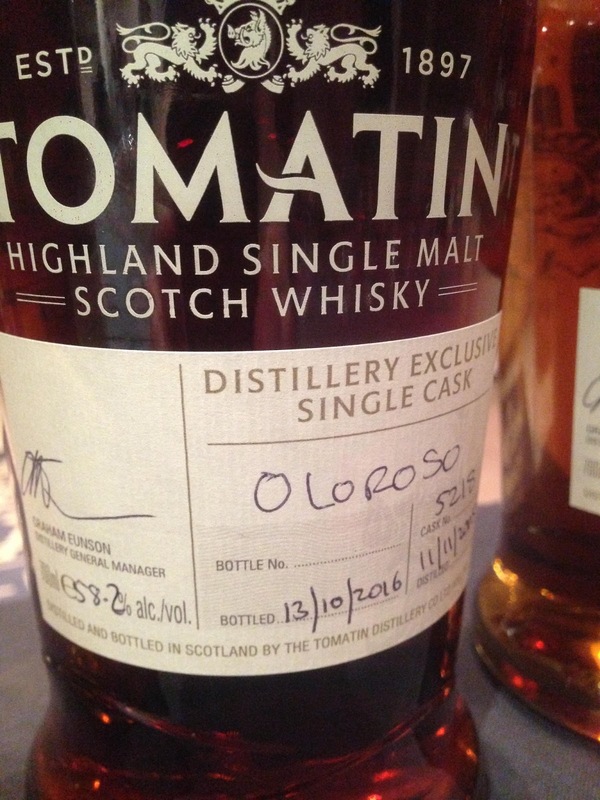 Tomatin is perhaps the king of the ‘bottle your own.’ They have five. Which is crazy, and also awesome. 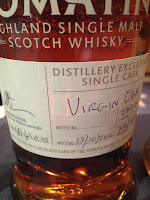 We were on the single cask tasting, which meant we got to try all of them. 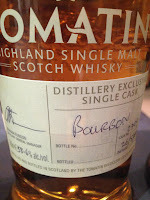 And then Charlie let us try the rest of the Tomatin range, but I didn’t have time to make any good notes. Nose: Crisp, peach schnapps, green apple, very soft. Clean. A nice new make. Nose: Lots of oak, Salted caramel, peach schnapps, ginger. More floral as it opens up. Taste: Intense, peach schnapps, caramel, some very spicy vanilla. Finish: Long length. Oak and a nice oiliness. We tasted this semi blind and I guessed it was 9 years old. It’s only 3 ½. Harsher with water though. Nose: Softer than the VO. Vanilla, intense spice, some herbal Bourbon-esque notes. Opens up with some water. Taste: Really spicy, ginger, white pepper, lots of clove, lots of oak. Finish: Long length. Oak fades, clove stays on. 12 years old. A little too spicy. Unbalanced. Nose: Really intense and rich Sherry, loads of raisin and nice smoky tobacco. Taste: Really really rich. Raisin, loads of sweetness, lovely tannins balancing the sweet, some spice. Great chewy mouthfeel. Finish: Medium length. More rich sweetness, very chewable. 11 years old. 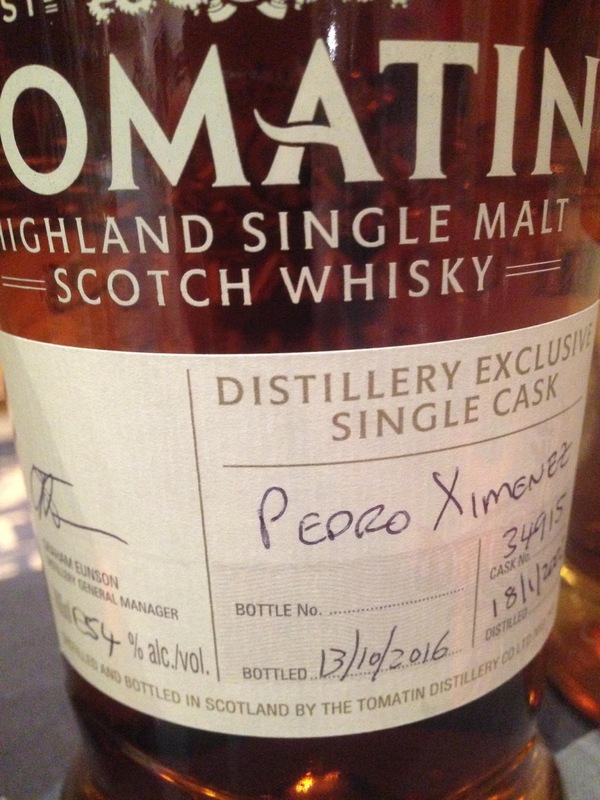 This really blew the Aberlour distillery exclusive out of the water. Nose: Woah! Different and very unique. Roast beef crisps (yes, really) and they smell delicious. Also turmeric and curry spice. Taste: Clean arrival, then great sweetness, meaty with those roast beef crisps again, then some curry powder. Both creamy and oily. Great mouthfeel. Finish: Long length. Complex with sweet and savoury notes, oiliness that keeps going. 10 years in Bourbon, then a 4 year finishing in PX Sherry. 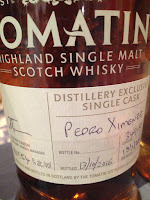 A really unique whisky that I heartily recommend. There’s a lovely balance and mix of flavours. Nose: Much softer than the others. Lovely tropical notes, mango, pineapple, cinnamon, melon. Taste: Great pace to this. Soft first, then building tropical and waxy, mango then pineapple, soft cinnamon in the background. Finish: Long length. Oak, musky and waxy, a little salt. 26 years old. A great one undoubtedly, but doesn’t quite meet the complexity and balance of the PX. 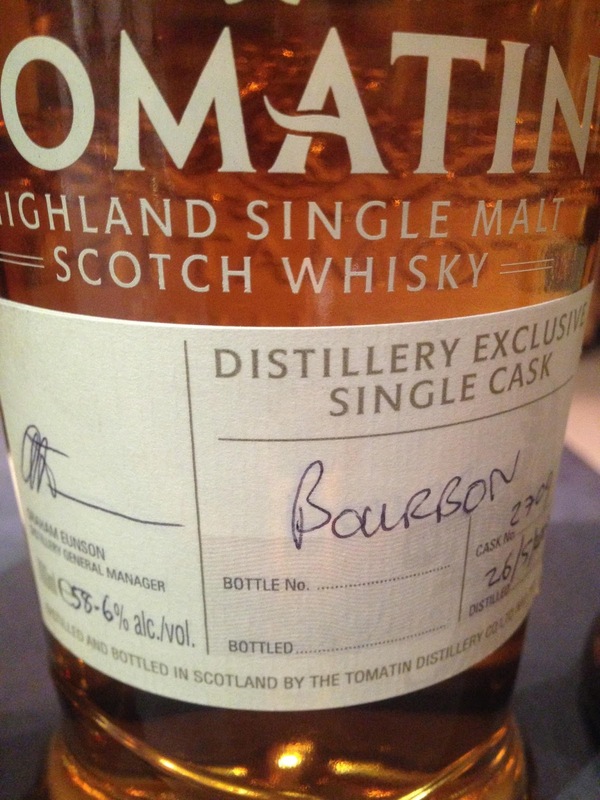 After all of that we headed back to the shop, where Charlie let us try the Tomatin Contrast. 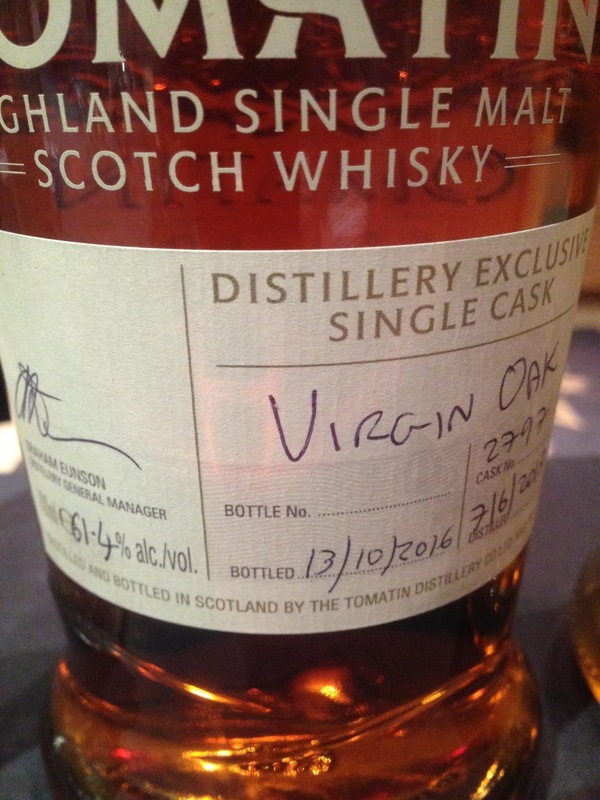 A really interesting whisky in which they took one barrel from each selected vintage to marry together, but kept the Bourbon and Sherry casks separate for two 35cl bottles you could buy together to compare. Nose: Tropical, musky and waxy. Quite similar to the 1990 bottle your own. Taste: Musky oak, oily vanilla, great waxiness, vanilla pod, some soft spice. Finish: Long length. More tropical again, then dry oak. Nice waxy and musky notes here but it doesn’t have the balance of the 1990. Nose: Musky refill Sherry, some cherry, waxy and slightly earthy. Taste: Soft, raisin, tropical mango and pineapple, great spice, some oak. Finish: Long length. Tropical and then some nice chocolate. Again, another great one. A nice comparison to the Contrast Bourbon, but I think this is a bit more complex. After the tour, we headed back to the airport for the flight home. 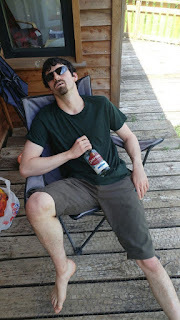 I couldn’t have wished for a better stag do and many thanks to my man Tom James for coming with and generally being awesome. Tamnavulin NAS Review: Return of the Swamp!